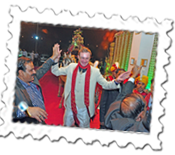 My second visit to India this year – and thirty-seventh in all – was, out of necessity, later than usual due to an invitation from my friend, Rajesh, to his son’s wedding. An Irish friend and her cousin were also coming and it proved to be a memorable event. The outward journey was always going to be a bit tiring but, due to a lot of help from my friends, it turned out to be rather nice. Emirates kindly made my outbound journey very comfortable and, whilst enjoying their superb hospitality, I did also ensure that I got some sleep as it was the start of a few long days and short nights. Their entertainment system, ICE, has every No 1 UK hit and I see that I was born when, appropriately, The Beatles Ticket to Ride was in that such position. Due to the popularity of the flights to Delhi despite booking months previously, I had an eight hour wait in Dubai but took the chance to catch up with another friend, Shailja Kalia, at work in The Address Hotel at Dubai Marina. After an excellent breakfast, I was allowed to use their very pleasant spa before returning to the airport. Arrival at Delhi was pretty much on time but there was the usual fiasco with the taxi and I felt a bit ashamed really. I had warned my Irish friends, Mary and Patricia, that they had to take a taxi to Paschim Vihar and that they should write it down and show it at the pre-paid taxi desk as the people there tend to think that you mean Vasant Vihar which is closer and therefore cheaper. You know what’s coming, don’t you? In the car, having given the driver directions, I was told that I'd booked Vasant Vihar – and,yes, I did make this clear but didn’t check the receipt - and “extra charges” apply... Having initially refused to pay twice as much, I ended up pretty much having to do so by which time the traffic had worsened and I only reached the hotel around 10.45pm. I had been invited, like Mary and Pat, to the pre-wedding ceremony of Mehendi-ki-Raat and, okay, time-keeping isn’t India’s greatest strength and I was doing a very passable job of doing my bit as this function had started at 7.30pm... I did make it there and it was fun with some excellent food, welcome cold beer and glad that I had belatedly been able to make it. I finally got to bed at 1.30am. 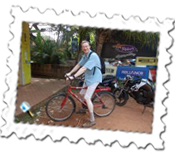 The next day – no, sorry, the same day – we organised a taxi to show predominantly Pat some of the Delhi highlights. Mary and I have been before but we enjoyed the Laxmi Narayan Temple, a large Hindu temple, India Gate and the Government buildings and finally I made it to the Gandhi Smriti, the place where Mohandas – later titled Mahatma which literally means Father of the Nation – spent the last few months of his life and where he was assassinated on 30th January 1948. 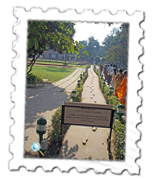 It is a quiet and peaceful place and Gandhi’s simple room can be seen from the outside as well as the spot close to the place where he was going to pray at the time of his assassination. 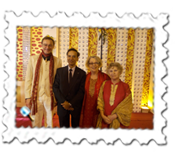 The wedding was the main event of the day and we returned to dress into our Indian finery. We had visited the shopping mall close to the previous night’s function so that Pat and Mary could buy some traditional clothes. My God, what an eye-opener! My favourite girl, Pooja, would be joining us later to go to Goa and, whilst delighted to have so much nice company, I recognised that I’m a bloke who, well, has deep pockets when it comes to shopping and felt apprehensive that I might be dragged into this lark. I’m a good window shopper. Well, Mary told me that she thought that she’d been quite quick and good and I was happy to take her word for it. She said that they then needed to return for a rest and I wondered if it was the purse that didn’t need the rest... I jest, of course. 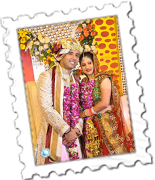 I had got a closer feel for the marriage as it was Rajesh’s son, Gaurav, getting married. The whole function was very elaborate and started at the family home with a band and Gaurav being taken around the neighbourhood on a horse. 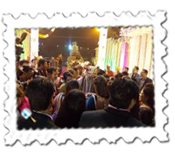 Everyone then converged upon a marriage site some fourteen kilometres from Paschim Vihar and the vast area hosted the central stage on a big lawn and food was being offered very regularly. The main meal was further inside. During the evening, it was nice to meet up with my web man, Karamjeet Singh, the local photographer, Shamsher, and many other friends from Paschim Vihar. Gaurav arrived on another horse but entrance to the main area was slow as it is traditional that the groom “buys” his way in. A high fee is demanded which, with much haggling, is eventually, Karamjeet told me, whittled down to somewhere between Rs2,000 and Rs5,000. 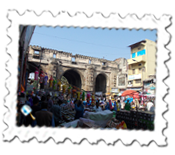 ( I should add that it’s a terrific time for tourists to be visiting India: for the first time ever – and I suspect last – I achieved a rate of Rs100 to the pound). So, once in, the bride, Manisha, who was already there with her family, entered to be united with her husband-to-be. It must be said that the costumes were breath-taking: a wealth of colour and I was delighted to be honoured by being given, for want of a better word, a scarf which depicts a sign of respect to the couple. The actual marriage ceremony was later held in the family’s local Gurudwara near Paschim Vihar. It was a tremendous honour to be invited and we all count ourselves very fortunate to be part of the ceremony. Saturday was a day of rest but still turned out to be plenty busy enough. I had gone to meet Pooja at New Delhi Railway Station as she was travelling from her home in Lucknow and, poor girl, had a tiring journey made worse by a two hour delay. It’s bizarre but, at the station, there was no word of the train and it was only later that the platform number was announced with an arrival time of 3pm: an hour late. By 3.30pm there was still no sign of the train and it had even been eliminated from the platform information. It was impossible to find out any information on it at the station so the only way was to ring Pooja to see if her train had arrived. She could tell me that it hadn’t. I had been bothered for weeks that something might happen to stop Pooja from coming. I had, though, noticed how keen she was to come which had eased some of my fears but seeing her was wonderful. We returned to Paschim Vihar and all four of us left around 7.20am the following morning for the Delhi Airport Domestic Terminal for our spiceJet flight to Goa. There’s a lot of security in a lot of areas in India these days and Mary came unstuck with one of the more onerous ones which requires, as much as anything, an excellent memory. With spiceJet, you buy your tickets, print your confirmation but need to remember to bring the credit card with which you made the booking along with you to check in. So, what happened? Having booked our tickets in June, both Mary and I were victims of fraud – Mary’s a credit card, mine a debit – and, although everything was sorted and I was not inconvenienced as I had paid by credit card, Mary was as her card was replaced and the last four numbers changed. spiceJet insisted that she had to pay again and that they would refund the original card! Terrific. Refund a card which had been destroyed and then asking her why she hadn’t brought a photocopy of the original card. I mean, would you? You have your card subjected to fraud and are asked to destroy it immediately. Do you really remember to take a photocopy of the defrauded card to show at check-in for a flight you booked four or five months previously? My Mastercard had expired, I had cut it up and then remembered this nonsense with it at the spiceJet check-in and pieced the damned thing together again in case they got funny with me. Fortunately, they didn’t question me as my new card had the same number. This business had caused me headaches with Pooja’s flights as I had paid for her tickets – ha, I may have deep pockets but not for her – but certain airlines had to be eliminated because of this showing of credit cards at check-in. With all due respect, would credit card companies also be happy with photocopies of both sides of the card being bandied about by people who aren’t the card holder? Sorry to go on but this business has caused quite a lot of headaches. In Mary’s case, common sense prevailed as, although she was made to pay again, they did refund the current card. The seats were a little cramped for my long legs but arrival into Goa was on time and we were soon at Ashirwaad Apartments in Benaulim. 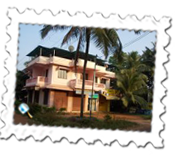 I had come across this place on the internet and the owner, Rommel Fernandes, is very friendly and we had been in touch a lot since the booking generally making the world a better place. Some places always look better in photos but, in this case, we all found our apartments even better than the photos had suggested. Clean, fresh and bright and Rommel was a wonderful host. We had booked two two bedroom apartments with bathroom, kitchen and lounge and were very happy there. 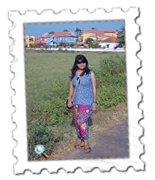 Benaulim is convenient for their beach one kilometre away and also for Colva beach around five kilometres away. Mary and Pat had six days there whilst Pooja and I had just the two but we all had a terrific time. 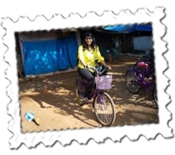 Pooja and I hired bicycles for a day which was a novel way of getting round. Pooja was excellent going downhill but I claim victory on the flat... Trying to be ever the gentleman, I cycled behind Pooja in case she had any difficulties but, inevitably, whenever I looked round, I felt a tad wobbly but had no major disasters. Benaulim beach is quieter whilst Colva is popular with Indians. On it, I could see that Pooja was fascinated by a type of jetski which offered short rides so I encouraged her on to it – and, yes, my pockets weren’t deep again – and she loved it. I had to chuckle when, on boarding it, a wave engulfed her and, being a good female, she tidied her hair up before going off into the Arabian Sea. Some of us blokes don’t have enough hair to worry about such issues... She encouraged me on to a parachute but, whilst I had neither desire nor inclination, I felt relieved that I managed to stall for long enough until, mercifully, the bloke went off for his lunch. We found a wonderful restaurant on the Benaulim Beach where Pooja and I ate on the first night and returned there with Mary and Pat the next night. The second night became a bit raucous at times and stray dogs befriended Mary and Pooja. With bottles of Kingfisher beer, I couldn’t resist slightly altering their caption of being out with the “queens of good times”. Pooja loves dogs and has rescued many and taken them home but, for her father in Lucknow, enough is enough and an ultimatum has been given that any more and she’s on her bike... Pooja’s bargaining skills became very apparent and we all felt for the shopkeepers especially as they were touting for business around 9.30pm. For such a quiet and mild-mannered girl, Pooja suddenly became the ogress of Lucknow and bargained so furiously – and well – that we all got presents for far less than we would have had we tried ourselves. 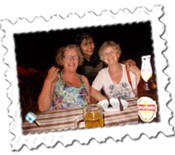 It may be part of the fun and is expected but, sadly, a lot of people fleece tourists a bit too much and it was very helpful having Pooja with us. I’m sure the Benaulim beach road breathed a sigh of relief when Pooja and I left! Our last day saw me on the couch for a massage – a physio at work told me earlier in the year that she had never felt such a stiff back – and Pooja took to the sea. I know that she didn’t want to leave as, let’s say that her sense of time wasn’t as good. She simply didn’t want to go and we were sad to leave but were touched with presents given to us by Rommel. Our respective journeys took Pooja back to Lucknow via Delhi with spiceJet – mercifully at check-in we weren’t for my credit card: I was pleased that my flight was delayed as Pooja’s flight was after mine and I was worried about this credit card business again, if time was tight – and myself to Baroda via Bombay with Jet Airways. Mine was a long enough journey with delays but Pooja’s an epic and long one. I was met by the hotel car at Baroda Airport but the place was, well, a bit basic and there proved to be quite a number of communication difficulties. I might add that it might have been helpful if I spoke more Hindi but even that might not have been useful in the – dry – state of Gujarat. The check-out time of 10am wasn’t especially helpful so I decided to bust a gut and see what I could by getting up early. 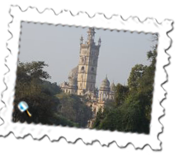 The main highlight of Baroda – which appears to be a very pleasant and interesting city – is the Laxmi Vilas Palace. Unfortunately, it didn’t open until 9.45am and, despite an attempt at gentle persuasion, they wouldn’t allow me in so I only had a distant view. I’d have to say that Baroda is worth a future visit for longer. The people were helpful and pleasant and I took a Volvo coach to Ahmedabad in around two and a half hours for the princely sum of £2. I found Ahmedabad quite an interesting city but have been to better. 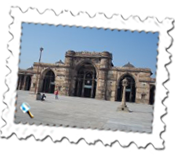 I visited the main Muslim mosque, Jama Masjid, and also the Gandhi Ashram which is now a museum to the Mahatma’s life. It was very interesting and his influence very much lives on. It is generally quite a cheap city but the hotel taxes seemed pretty high. 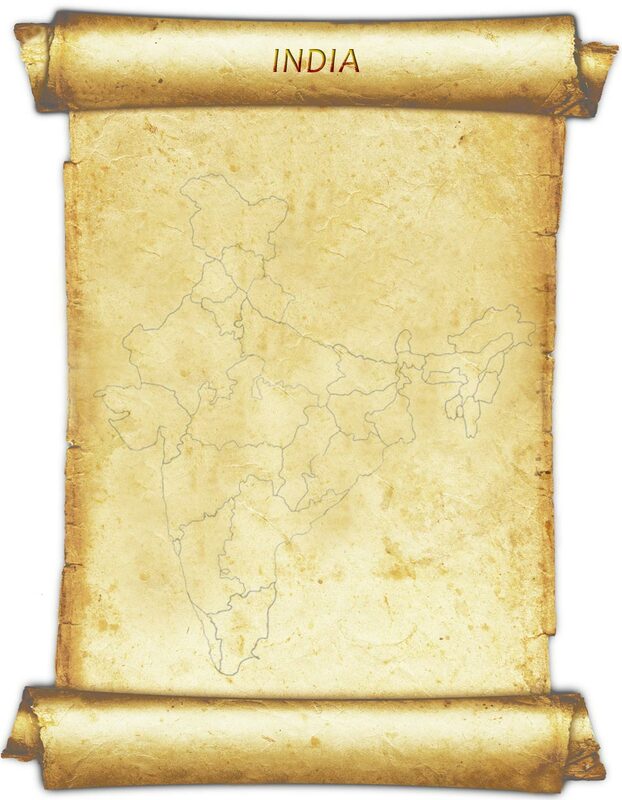 The Mahatma’s Salt Tax march in 1930 was a protest at a levy on Indian salt as the British wished to sell their own salt so he went off with some followers but, anyway, the hotel taxes in Ahmedabad did seem steeper than other cities. My final port of call was Madras which is my favourite Indian city as it was there that I first went to stay with my cousins in 1986 and I have always retained my affection for the place. It was nice going back and doing some Christmas shopping at my favourite haunts, Landmark in Nungambakkam High Road and Cane and Bamboo in Commander-in-Chief Road. Always a highlight and possibly even the main reason for going is a meal at the Southern Spice restaurant in the Taj Coromandel and this year’s visit was every bit as good as the others. 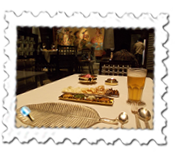 The General Manger of the restaurants, Ashok Raju, has become a good friend and the service and food is impeccable. It’s very likely the best restaurant in South India and, once again, they looked after me an absolute treat. I was grateful for the thirty minute walk back to the hotel so that my stomach could digest all the superb food. It’s a splurge at the Southern Spice and very well worth it in magnificent surroundings. The return journey was slightly hard going as I find it easier to stop for a while in Dubai en route. Anyway, as I later found out, I was fortunate to get back into Heathrow a few minutes early after learning of the Air Traffic Control pandemonium the day before. A lot of the day was spent flat out after an exhausting but rewarding trip.